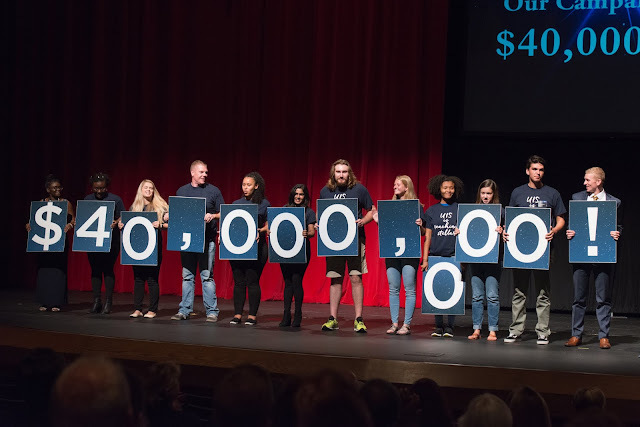 On June 30, the University of Illinois Springfield marked the end of fiscal year 2018 (FY2018) with more than 16,000 gifts and commitments in new business totaling more than $5.1 million. New business is comprised of new gifts, grants, pledges and deferred commitments. The University also registered $3.2 million in outright cash gifts, pledge payments, annuity/life income gifts and estate distributions. Both the new business and cash gift totals are among the best in university history. The Public Good : Engagement. Collaboration. Impact. “The Reaching Stellar campaign is off to a great start due to our donors and the leadership of our UIS Campaign Committee led by co-chairs are Hy Bunn, president and CEO of Bunn-O-Matic Corporation, and Saul Morse, of counsel at Brown, Hay & Stephens LLC,” stated Jeff Lorber, vice chancellor for advancement, University of Illinois Springfield and senior vice president, University of Illinois Foundation. UIS Campaign Committee members include Micah Bartlett, Bob Felker, Julie Kellner, Pam McClelland, Larry Shiner, Janice Spears, Julie Staley and Guerry Suggs. The campaign has numerous areas which have received support such as UIS Student Union, UIS Center for Lincoln Studies, NPR Illinois, UIS Athletics, the Illinois Innocence Project, Brookens Library, and the new Field Station on Lake Springfield to name a few. Campaigns can transform a university and its community. This past January, the UIS Student Union was officially dedicated and overnight it became the heartbeat of campus. With a new 50,000-square-foot facility on the UIS quad, the UIS Student Union serves as the center of students’ social and organizational activities with its conference rooms, lounges, booths and nooks to encourage discussion, collaboration, and study. Today, a large dining hall and coffee shop serve as gathering places to attract students and serve as a central meeting site for numerous campus organizations. This $21-million investment was made possible through the commitment of student fees and private gifts. Richard Osborne, an alumnus and lead donor, is excited to consider the opportunities for future success that exist at UIS. "When I received my master’s degree from UIS, the school had just started its migration to the current campus. Since then the school has grown dramatically and is developing into a full scope university. Building a first-class student union is an important and needed step, allowing students to connect and create lifelong relationships. My wife Charlene and I are very pleased to support the UIS Student Union project as well as endowed scholarships in the College of Business and Management." Giving to the campaign, Reaching Stellar, is a key priority of the University of Illinois Springfield, Sangamon County and the Springfield community. Giving to this campaign will help enrich the University of Illinois Springfield, accelerate economic development, enhance innovation and increase fundamental research in our community, region and state. The response in the first year after the public announcement of the Reaching Stellar campaign has demonstrated that the communities supporting UIS are rallying. The top three sources of support are from UIS alumni (39%), corporations (17%) and friends/ non alumni (24%). More information about the Reaching Stellar campaign for the University of Illinois Springfield is available at www.uis.edu/advancement/reaching-stellar. Please contact Jeff Lorber, vice chancellor for advancement, University of Illinois Springfield (217) 206.6058; jlorber@uis.edu.